Is your mailbox getting clogged with junk emails? Here’s a simple tool which will help you declutter really quickly. 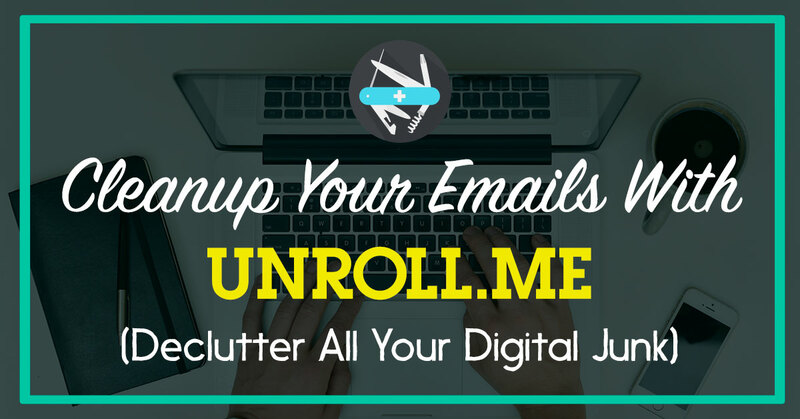 Unroll.me is a simple tool that helps people get control of gray mail, email they don’t really want, but sometimes need, usually from subscription services. These messages clutter your inbox, distracting you from meaningful email. The free email service Unroll.me consolidates subscription emails and newsletters, Instead of getting 20 emails, you get one summary email. This helps you clean up your inbox and focus on the messages that matter. The controls for including or excluding different messages, or unsubscribing from lists altogether, are dead simple. You are great … I learned lots of things from you.. thank you so much…. Great sir thanks for this information.